Copies of my book arrived today! 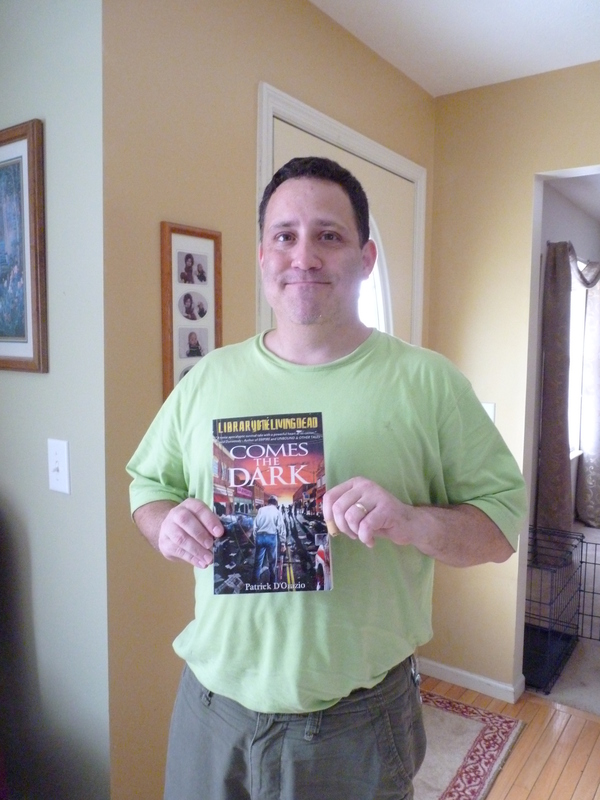 Copies of Comes The Dark arrived in the mail today, which may seem like not a big deal, but given that this is my first published novel, it is HUGE for me. That this thing is real and not just something that I created in my imagination, but is something that is tangible and can be shared with everyone else out there feels pretty dang remarkable. This entry was posted on July 22, 2010 by patrickdorazio. It was filed under Comes The Dark and was tagged with comes the dark, horror, Library of the Living Dead, writing, zombies. Shout it from the rooftops (if you haven’t already)!!!! John & I are excited for you!! Enjoy all the accolades! You deserve it! I am so excited and so VERY PROUD of you! Awesome! Congrats and well deserved… looking forward to reading the final cut!